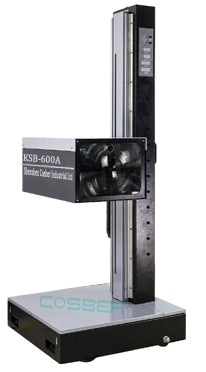 Manual Headlight Tester of model KSB-600M Printer type is used to cast light on the light distance light luminescence intensity , the light beam excursion amount before hand movement measures a motor vehicle; Light beam excursion measures close brightness waiting for the various parameter. The technology that 21861, measures before GB18565 relevance according to light demands satisfied GB7258, GB, applies to all of the various levels motor vehicle detecting organization, the automobile keep the job, motor industry and lamp manufacturing industry in repair. The instrument is very suitable for use in vehicle inspection stations, repair and maintenance garage. Headlight Tester for measuring motor vehicle headlamp low beam lamp luminous intensity and optical axis offset. Applicable to the motor vehicle repair shop, vehicle inspection stations, automobile factory for motor vehicle headlamps detection and adjustments. Accurate detection of various parameters in the Near light look for light detection, manual adjustment, independent testing, adjust the headlamp high beam headlamp light distribution performance. Support a road to inspect up the pattern working: May select and match the wireless communication of blue-tooth module , the printer for a special purpose in miniature. Optional: Rechargeable battery module, adapt to a variety of work environments. 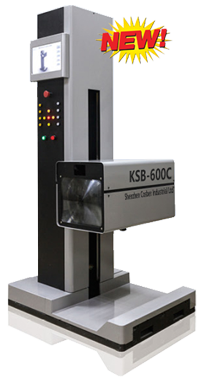 KSB-600A Headlight Tester is applied as an automatic measuring device for inspecting automobile headlamps. Its testing ability covers high beam luminous intensity, high beam offset; low beam offset; headlamp benchmark center height etc. The device meets the national standard GB7258, GB 21861, GB18565 and other related technical requirements by vehicle testing organizations. This device is largely used in vehicle testlines, vehicle repairing shops, and automobile manufactories etc. Support Dual-lamp inspection mode available to shortern inspection speed. 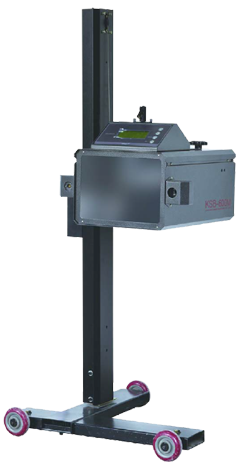 Automatic Headlight Tester of Model KSB-600C is an automatic measuring device for inspecting automobile headlamps. Its testing ability covers high beam luminous intensity, high beam offset; low beam offset; headlamp benchmark center height etc. The device meets the national standard GB7258, GB 21861, GB18565 and other related technical requirements by vehicle testing organizations. This device is largely used in vehicle testlines, vehicle repairing shops, and automobile manufactories etc. 12-inch super bright LCD screen, providing VGA video output interface, and mobile phone client function, convenient for detection line manual identification. Easy to use, the instrument can be operated via a resistive touch screen, USB mouse and USB keyboard. Provide rich and reliable communication protocols and testing standards, which can easily replace communication protocols and facilitate networking. All types of headlamps (halogen, xenon lamp HID, LED) can be detected correctly.